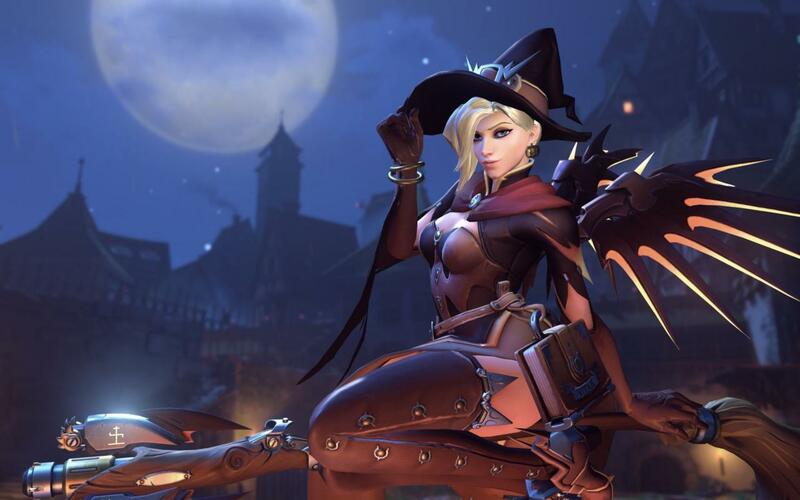 Its that time of year, you know the Halloween Terror, that time of year when the Overwatch Players pretend not to gawk at the Mercy screen and feign they are not perving on her. Now I know what you are thinking ‘Dave’s a Perv’ etc etc, honestly on this one I am not alone, men and women all over the globe are entranced by this screen, I honestly cannot understand why? Though this year Mercy has gained some competition with Symmetra’s new Halloween skin garnering a devoted fanbase, but unlike everyones favourite medic it has yet inspire a user to give us a live wallpaper that features a looping video of the menu screen. A wallpaper that gives the fans an endless amount of Mercy’s gently hypnotic grace. Of course on top of the live wallpaper comes the usual devoted fan art, meme’s and massive amounts of cosplay. I don’t think Blizzard knew what they where getting into when they unleashed this Swiss Witch upon the world.